Somatoform disorders are characterized by physical symptoms, which suggest medical diseases, but without organic pathology to support the illness. It refers to all mechanisms by which anxiety is translated into physical illness. Somatoform disorders include somatization disorder. This chronic syndrome is characterized by multiple somatic symptoms that cannot be explained medically. The physical symptoms are associated with psychological stress. A loss or change in bodily function is the result of psychological conflict, allowing the client to resolve the conflict through loss of a physical function. The client often exhibits a lack of concern about the severity of the disease (la belle indifferences). This is characterized by difficulty initiating or maintaining sleep. Sleep disorders include hypersomnia or excessive sleepiness, narcolepsy, parasomnias, undesirable behaviors that occur during sleep. In sleep disorders, the sleep-wake schedule and circadian rhythm are disturbed. This is a person’s unwanted fear or belief that he or she has a serious disease without significant pathology. Hypochondrias interferes with client’s work and social relationships. The client is preoccupied with an image defect in appearance when there is no abnormality. Client obsesses about imaged bodily defects (facial flaws, heavy buttocks or thighs) and becomes embarrassed about them. The pain is unrelated to a medical disease. The individual experiences severe pain that is in disproportion to the originating source. Pain in the absence of organic pathology. Preoccupation with physical symptoms, disease, physical flaws, and oneself. Dependence on addictive substances for relief of pain that is unsubstantiated by physical findings. Frequent visits to health care providers. Symptoms of anxiety and/or depression. Hydrochondriasis is not a conscious decision on the part of the client; they believe that they are ill. Alternative therapeutic interventions may be used, such as therapeutic touch, imaging, and acupuncture. Assist the client in identifying and describing in stress he/she experiences. Assist the client in monitoring stress and knowing when to intervene. 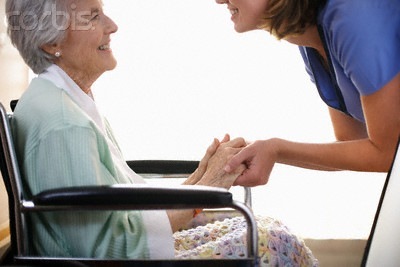 Teach the client about medications and to avoid alcohol and other such drugs used to alleviate stress approximately. Risk to self and others. Withdrawal symptoms related to discontinuation of sedatives, hypnotics, and narcotics.